Modern car keys and the beach do not go well together. The keys cannot go in the water so people are forced to hide their keys while enjoying the beach. Everyday wallets, phones and other valuable belongings are stolen from locked cars at the beach by thieves who watch you hide your car keys. Hiding your keys behind the wheel, or in a towel on the beach is not a safe way to secure your car. 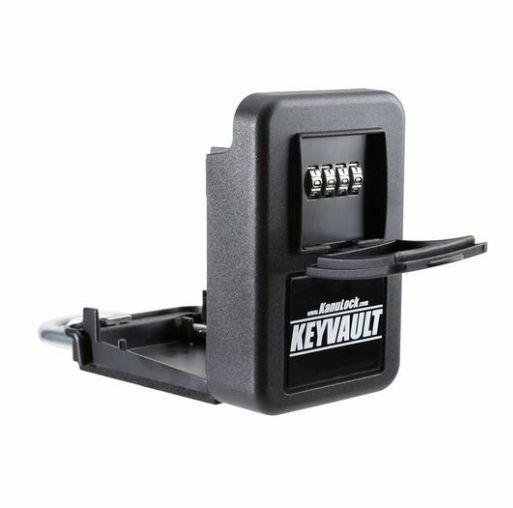 The KEY VAULT is a simple to use and secure way to lock your keys while at the beach. With a KEY VAULT you can safely lock your electronic keys to your car while you enjoy the water. Lock to tow hitch, door handles, roof racks, wheels, tie-down points, suspension coils, tow points… the options are unlimited.